This is the second in a new series of articles on FireAviation.com, featuring aerial firefighters answering 12 questions about their profession. We hope to get participation from senior pilots, as well as Air Operations Branch Directors, Air Tactical Group Supervisors, and others that have worked closely with fire aviation. Our objective is to not only provide our readers with interesting articles, but these very experienced aerial firefighters may also reveal a few gems of information that could prove to be valuable to those considering or just beginning a career in fire aviation. If you have a suggestion of someone who would be a good candidate for these questions, drop us a line through our Contact Us page. And their contact information would be appreciated. Today we hear from Jerome Laval who is an Air Tanker Captain flying S-2Ts for CALFIRE. 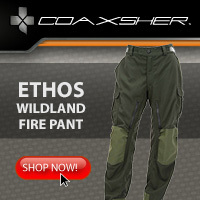 Who is one of the more memorable aerial firefighters you have known? All Airtanker Instructor pilots because they’re willing to share their experience, knowledge, tips & tricks with passion and dedication. By their fantastic attitude and trust in the candidate’s skills, they accept the risks to show the way to survive, be efficient and safe. It’s a real honor to fly and learn from them. Thanks to them, new Airtanker pilots will carry on the legacy of this unique flying mission. Aerial fire fighters; Where else do you find a such a bunch of characters?…. Focus, be aware and don’t get excited. Remember your training and don’t be too creative. Don’t push your own limits or your airplane’s limitations. Breathe deeply, think and stay ahead of the game. ….and most importantly; the main objective is for you to come back. Every time. Listen and take advice from experienced people who actually do the job. Use basic common sense as your guide for making any decision. 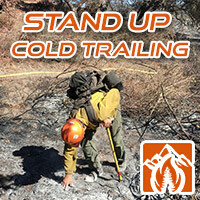 Tactics and Radio communication: keep it simple. Visit the Bases, talk to pilots, share Fire stories. Try to understand other point of views. The “Secret of Boredom”: waiting hours, days, weeks for action… After 17 years, I’m still looking for to learn this secret. 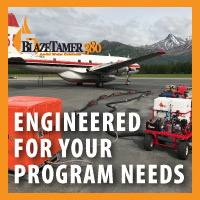 ….and a purpose designed and built Airtanker (3000 to 4000 Gallons). Finally! LockheedC-130A “Hercules”/RADS1. 3000 Gallons : Fast, maneuverable, efficient. 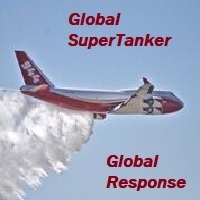 Fantastic Large AirTanker! Douglas DC-4 (C-54) / 2000 Gallons; Best learning fire fighting platform. Magnificent Airplane! Lockheed P-3 “Orion”/RADS2. 3000 Gallons: Fast, maneuverable, efficient. Great Large AirTanker ! Grumman S-2T “Turbo Tracker”/1200 Gallons Constant Flow. Ideal Initial Attack AirTanker! Favorite: hard to say. Great times and memories in each one. Books written by Linc Alexander. In 1967 he wrote Pilots Notes for Fire Bombing; a guide for pilots. 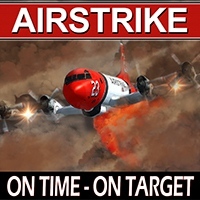 In 1972 he wrote Air Attack on Forest Fires which became the world’s definitive manual on aerial fire-fighting techniques by aircraft. His new book Fire Bomber Into Hell: A Story of Survival in a Deadly Occupation, is a must read for anyone wanting to immerse themselves in this great adventure. We are beginning a new series of articles on FireAviation.com, featuring aerial firefighters answering 12 questions about their profession. 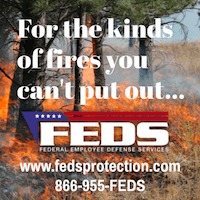 We hope to get participation from senior pilots, as well as Air Operations Branch Directors, Air Tactical Group Supervisors, and others that have worked closely with fire aviation. Our objective is to not only provide our readers with interesting articles, but these very experienced aerial firefighters may also reveal a few gems of information that could prove to be valuable to those considering or just beginning a career in fire aviation. If you have a suggestion of someone who would be a good candidate for these questions, drop us a line through our Contact Us page. And their contact information would be appreciated. We begin the series with one of the most experienced and well-respected pilots, Walt Darran. Walt has retired from active duty as an S2T air tanker pilot with CALFIRE/DynCorp, and is now the Safety Committee Chairman of the Associated Aerial Firefighters and also serves as the Chairman of their Board of Directors. Yesterday the Associated Aerial Firefighters got together for their annual festivities in Reno. A helicopter operated by Columbia Helicopters crashed in Peru’s Amazon jungle on Monday, according to Rueters, killing all that were aboard. Corpac, Peru’s air transport agency, said the helicopter was operated by the local unit of Columbia Helicopters. According to the agency five U.S. citizens and two Peruvians were on the helicopter and that rescue crews were recovering their bodies. Local media reports said the people on board worked for Petrominerales Ltd, a Canadian-based oil exploration firm focused on Latin America. 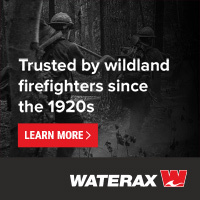 In 2012 Columbia had four Type 1 helicopters on wildland fire contracts with the U.S. Forest Service, two KV-107s, one BCHI-234, and one CHI-107. Our condolences go out to the families and coworkers. WASHINGTON – The National Transportation Safety Board is sending a team of investigators to Pucallpa, Peru, to assist the Government of Peru with its investigation of yesterday’s crash involving a Boeing helicopter. According to the U.S. Department of State, the accident claimed the lives of five American citizens. On Monday afternoon, in Pucallpa, Peru, a Boeing-Vertol 234 helicopter, operated by the U.S. operator Columbia Helicopters, crashed shortly after takeoff. The helicopter had departed from FAP Captain David Abenzur Rengifo International Airport, Pullcapa, Peru enroute to Tarapoto, Peru. It has been reported that all seven persons aboard the aircraft sustained fatal injuries. The NTSB has designated senior air safety investigator, Paul Cox, as the U.S. Accredited Representative. He will be accompanied by two NTSB investigators with expertise in helicopter systems and operations, a representative from the Federal Aviation Administration, and a representative from Columbia Helicopters. The team is expected to arrive in Peru tonight. 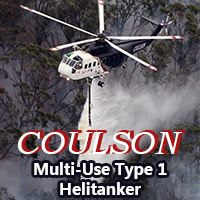 Coulson Aviation has modified two helicopters so that they can be flown at night. The company, according to Vertical Magazine, took one of their four Sikorsky S61s and a Bell 206B Jet Ranger to Boise, Idaho to get Aviation Specialties Unlimited to make the modifications necessary to be compatible with night vision goggles (NVG). Coulson also installed a hoist and a medivac interior on the S61, similar to the systems on Los Angeles County’s SH-3 Sea King helicopters, so that it could be used to extract injured personnel from remote areas day or night. 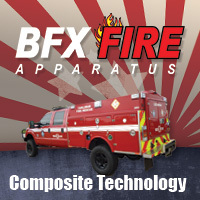 This capability could save the lives of firefighters who are victims of accidents after sunset. Two of the company’s S61s, including the NVG-equipped ship, are in Australia now working on a fire contract. Night flying is not part of the agreement but Coulson hopes to demonstrate to the authorities the benefits of fighting fire at night, when fires move more slowly and firefighting can be more effective. The US Forest Service will experiment with one night-flying helicopter in 2013, even though helicopters have been fighting fire at night for decades. 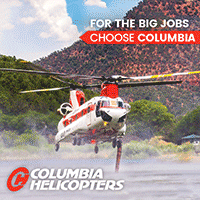 Service of a helicopter that is fully operated by qualified personnel, and equipped to meet specifications for use in administration, management and protection of lands from wildfire in Minnesota. The types of services which aircraft would generally be required to perform, but not restricted to are: Transportation of personnel, Equipment and supplies, Reconnaissance flights, Fire detection flights, Photography work involving, prolonged slow flight, Helicopter–bucket and fire missions, Administrative flying, Incident Support. Project Technical information contact: Bill Schuster at 218-327-4573.